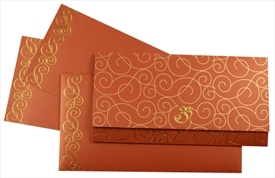 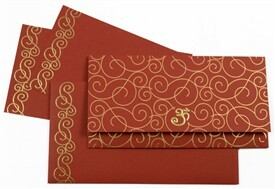 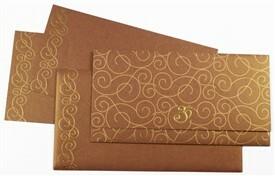 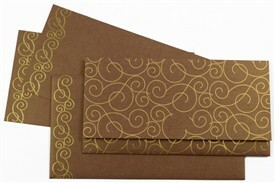 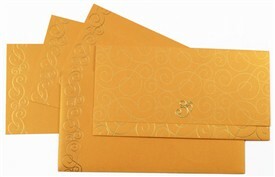 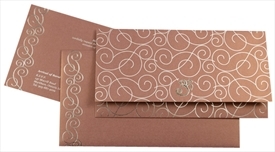 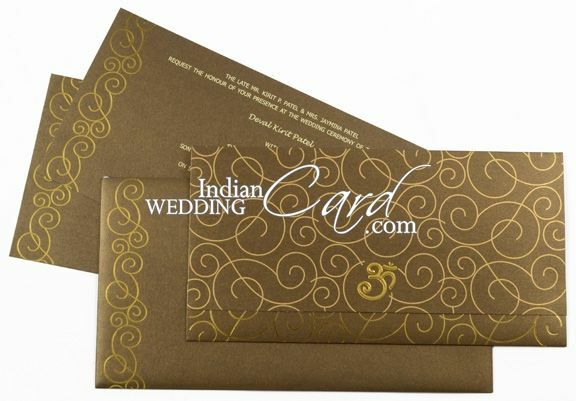 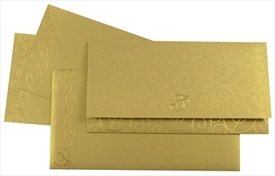 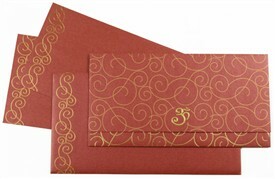 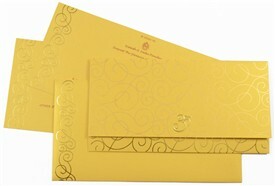 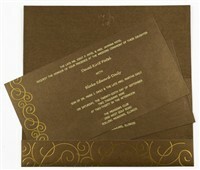 D-4091, Brown Color, Shimmery Finish Paper, Hindu Cards, Designer Multifaith Invitations. 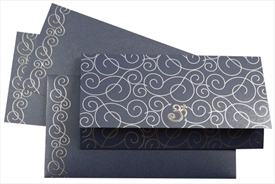 The front of this docket style 3 fold card has intricate swirl design in Silk Screen printed gold on upper fold and Hot foil stamping on the bottom fold thereby giving a beautiful dual tone effect. 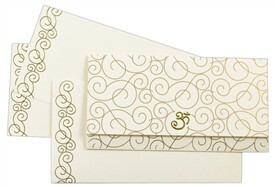 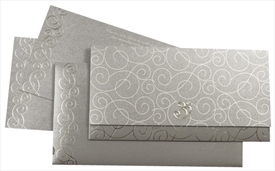 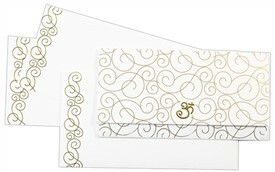 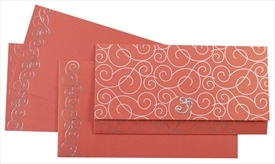 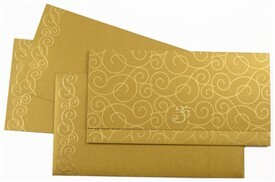 Envelope and the 2 inserts also have swirl border in hot foil stamping. 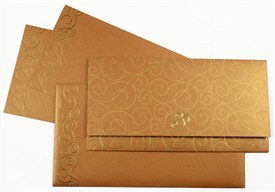 The Front Om can be customized with Initials or Logo of your choice. 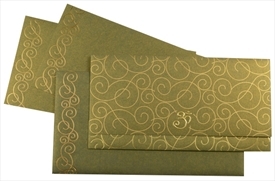 Bronze color Shimmery finish paper (250gsm) for card, 2 inserts and mailing envelope.